It wasn’t a short journey to visit Petra travelling all the way from Australia. 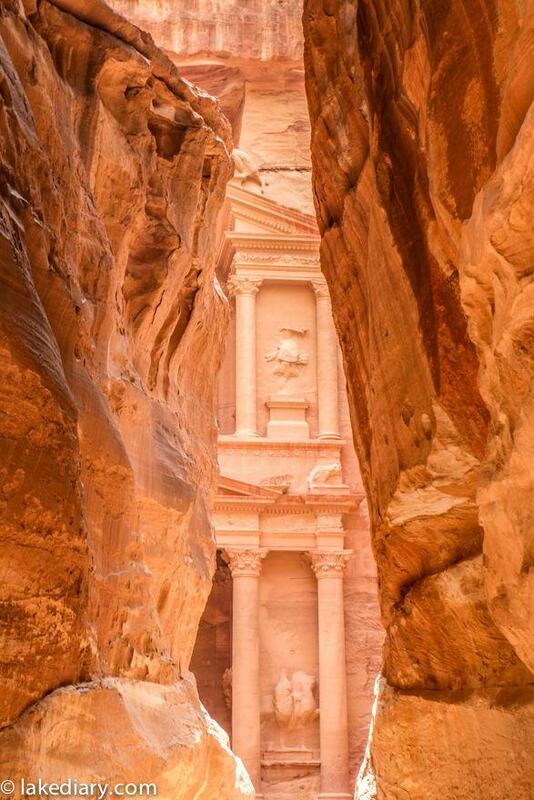 Ever since I saw a picture of the Treasury at Petra, my desire of seeing it in person started to grow stronger and stronger. That dream trip of mine finally came to fruition this year after years of fantasising and a lot research + planning. Was it worth the effort? Absolutely. I entered the the Kingdom of Jordan through Israel/Jourdan boarder after an overnight stay in Elate Israel. Security check to go in Jordan was very fast and straight forward compared to those stringent processes in Israel. A driver and tour guide met me on the other side of boarder and my trip to Petra started officially. A stop over at the breathtaking Wadi Rum dessert on the way from Aquba to Petra is highly recommended though a lot visitors to Petra are here for the Treasury. 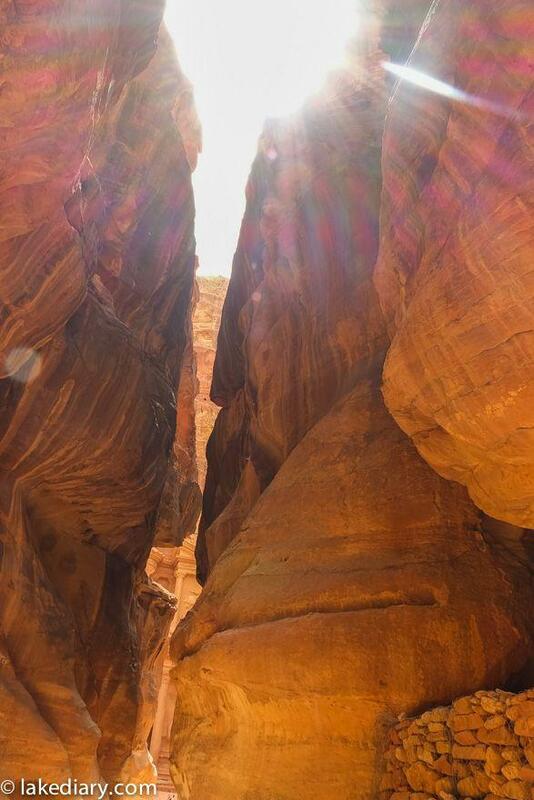 It’s only a little over 100 kilo meters from Wadi Rum to the city of Petra so it’ll take less than a couple of hours travelling by car. The Dead Sea stretches across Israel and all the way to the Jordanian border. I’ve ticked off my bucket list item floating in the Dead Sea while in Israel. However I wonder if it could have been a better experience if it was done in Jordan. My tour guide proudly told me that the first hotel on Dead Sea was actually built in Jordan. So if any of you have floated in the Dead Sea in Jordan, please do share your experience! 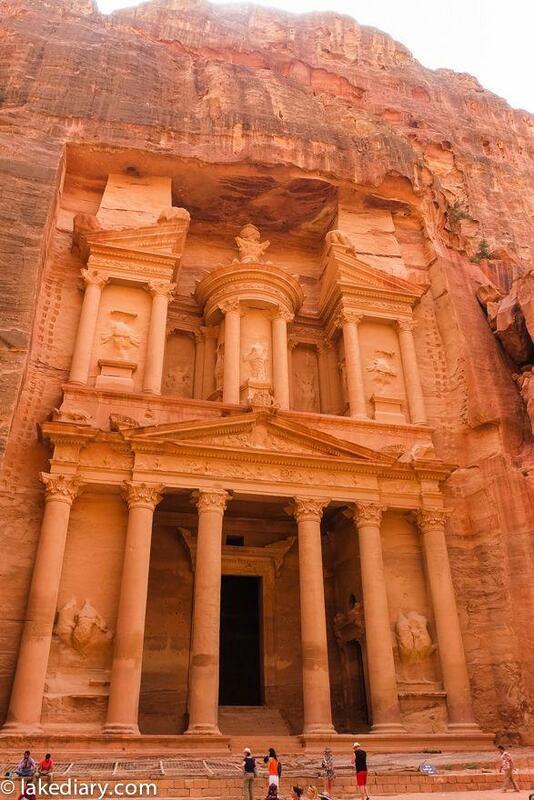 Whenever Petra is mentioned, most people would immediately think of the movie Indiana Jones. For some reason, I can’t remember that particular Indiana Jones movie. Maybe it’s because I’ve never seen it? 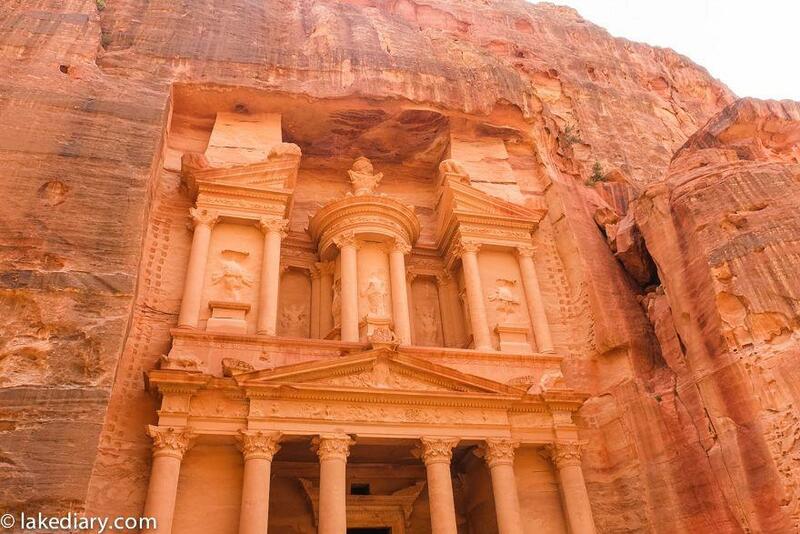 Now that I’ve visited Petra, perhaps it’s the time to find that movie and watch it haha! 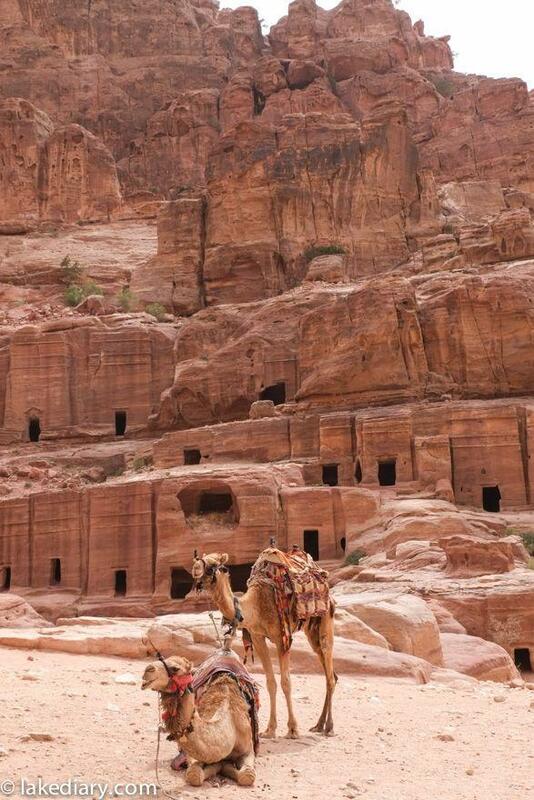 The city of Petra is nested in a dirt covered, secluded valley. There were a row of restaurants on the street leading to Petra visitor centre. 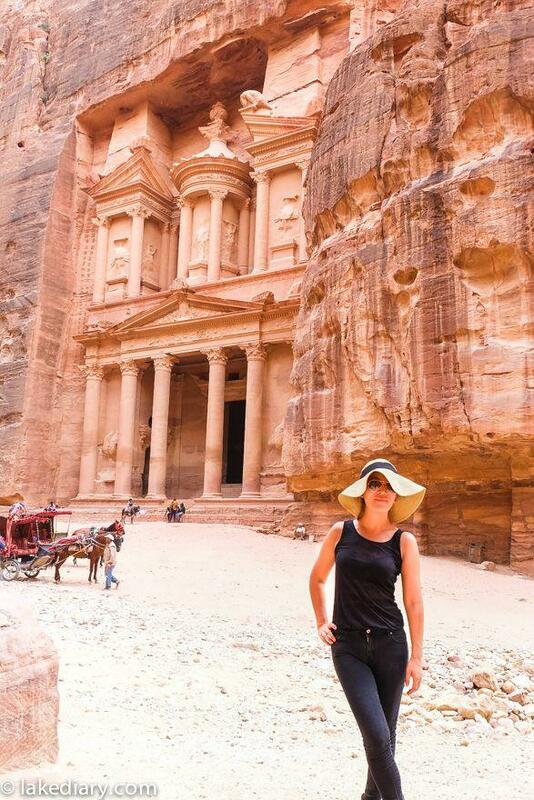 Someone asked me if there were any KFC or Macca’s in Petra when I got back to Sydney. Well, I don’t record seeing any. 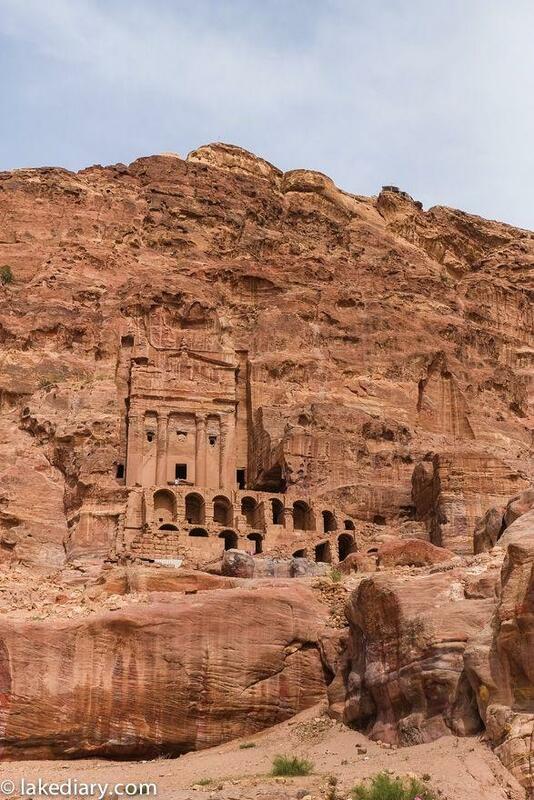 The thing is, you won’t want to have fast food from KFC or McDanald’s in Petra any way. I had some amazing middle eastern feast there. So when you go, make sure to take time to enjoy the local cuisine. You don’t really need the local currency. 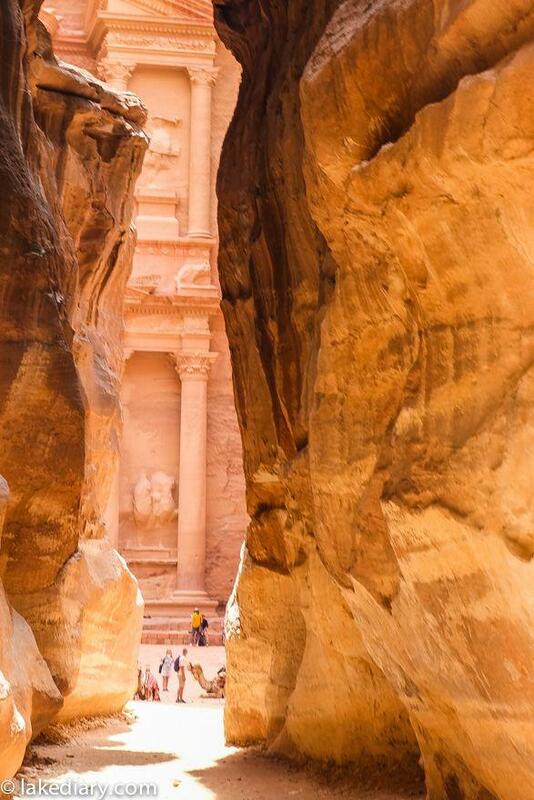 As long as you have sufficient US dollars on you, you don’t really to go through money exchange to get the local currency because US dollar is widely accepted in Petra. The biggest inconvenience for me at the time was that I had quite a few $100 US dollar notes on me when I entered Petra and I was having a VERY hard time to break it into smaller notes. You won’t be able to go far without smaller bills. You need them for tipping, buying drinking water and taxi fares etc. People won’t help you without being tipped and you can’t tip them with $100 notes. I booked a private tour guide before my Middle Eastern trip because I was travelling alone. But in reality, Petra is so straight forward to explore and the chance of getting lost there is really slim. Without a tour guide you’ll be able to stop whenever you wanted and take as much time to absorb everything. Many times I wished my guide could stop talking and singing like a crazy person but hey, that was just part of the experience. I was extremely glad that I had a full day all to myself without a guide so that I could really take my time to appreciate those sights without being interrupted or taken to a souvenir shop. 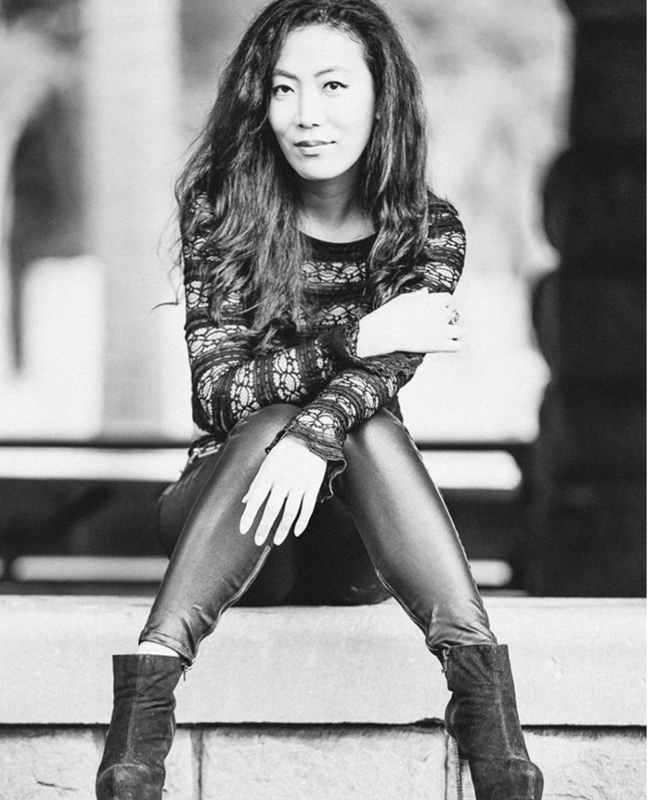 So you’d better off without a tour guide, even if you are travelling solo. 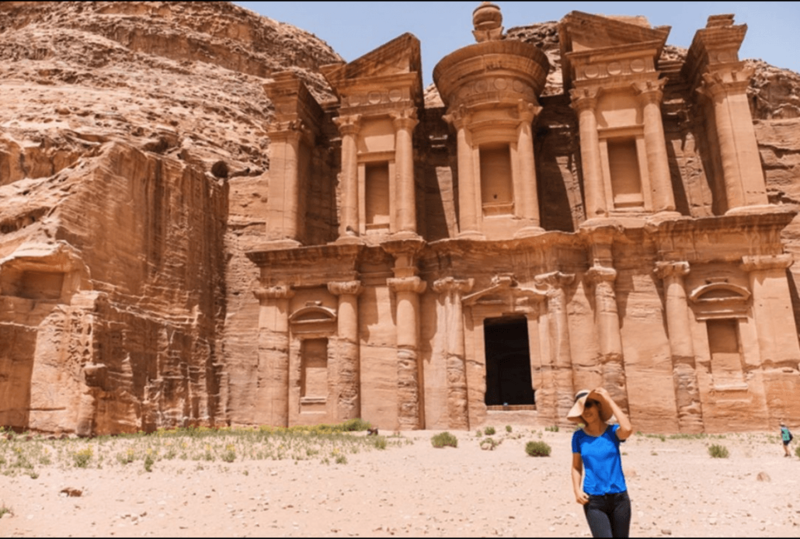 It’s certainly not enough time to explore the best of Petra and enjoy it in just one day, so allow yourself at least a couple of days in the area. In stead of getting the single day tickets, buy a two day pass to save money and hassle. You’ll hike a lot and weather is try. In order to keep yourself hydrated through out the day, make sure to drink plenty of water. Though it’s said the horse ride is included in the entry ticket, I didn’t take the horse ride because I wanted to explore the ancient city by foot. If you opt to take a horse ride, make sure you have a US$5 note to tip the owner. If you hand over a $10 or $20 notes and expect your change back, you’ll be disappointed. Hence the importance to have plenty of small bills on you all the time. There will be a lot people trying to sell something to the tourists. Just be careful not to be the easy target. Don’t believe it that you’d buy authentic silver jewellery for $5. Don’t follow those little boys who promise to take you to places with the most amazing view. Don’t ride the horse, the camel or the donkey if you don’t want to…The best way is to stay firm and say “No” straight away without eye contact. People normally go away. That was a lot easier to deal with than what I’ve experienced in Egypt (where people would chase you all the way and force their service on you, then grab you for money). Sure, 90% of the population in Jordan is Muslims. 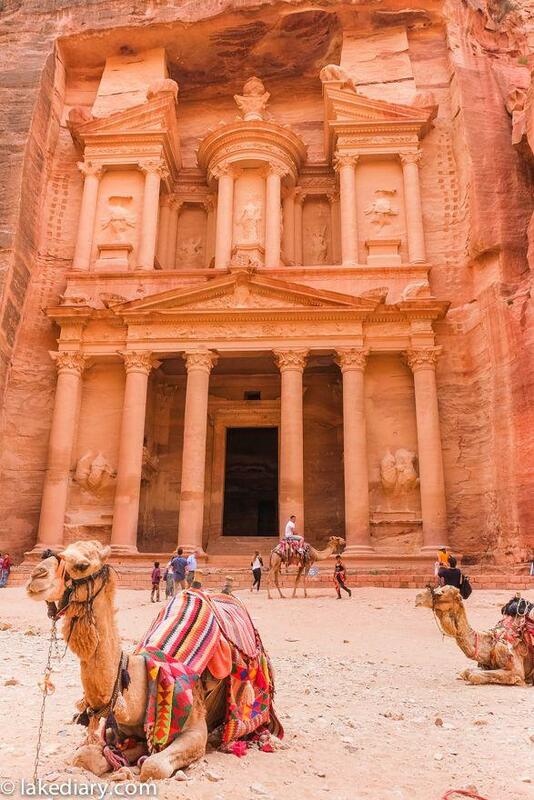 But Petra is occupied by tourists from all over the world. As long as you don’t dress offensively and overly expose yourself, people don’t really care what you wear. The Siq is a gorge, a 80 meter split in the rock. It’s the ancient entrance to the rose city. Walking through it wasn’t as long or boring as some people might have experienced. It was nice and cool under the gorge even in a hot Summer day. Not to mention, it’s so amazingly beautiful. Watch out for the roaming horse carriages though while going through the narrow gorge though. Horses don’t really care about sharing the roads with the pedestrians, either do their owners. The smell of horse droppings through Siq could also be a little overwhelming. 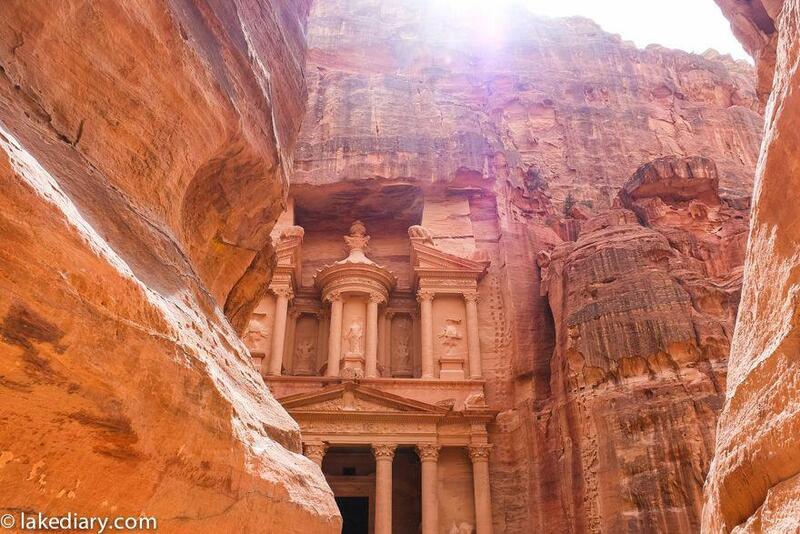 The best time to see Treasury is in the afternoon, while the sun is shinning on that majestic ancient stone structure. The breathtaking moment to see the Treasury appearing at the end of Siq to me is simply unforgettable. There it was – all mighty, rose coloured and grand, just as beautiful and magnificent as I have imagined, even more stunning in real life. Petra at night happens 3 times a week on Monday, Wednesday and Thursday night when candle lights will be lit in front of the Treasury. You might have seen some magical photos of Petra at night on the internet. The true is, Photoshop could have something to do with the beauty of those photos. A lot people got quite disappointed seeing the whole event in person. But the main thing is to just enjoy the moment and manage our expectations:). Petra during the day however, doesn’t require any Photoshop’s help. Every single snap would turn out to be a post card worthy photo. 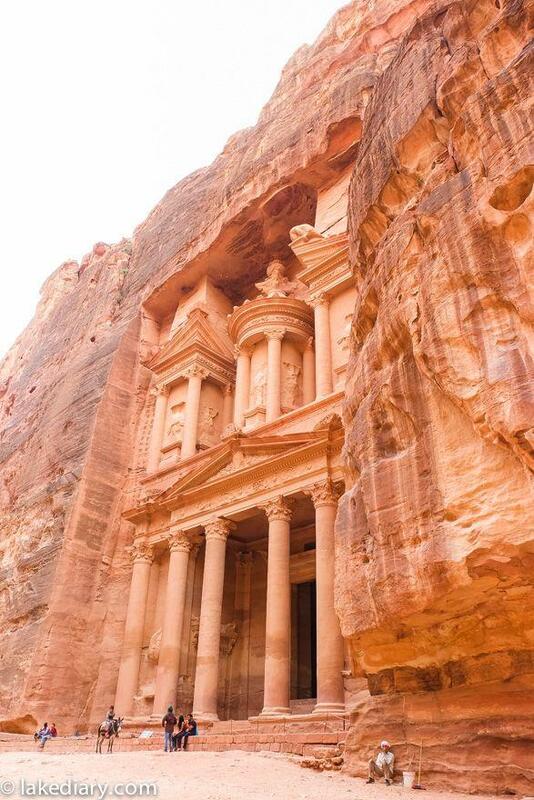 Local people said if you haven’t been to Monastery, you haven’t really been to Petra. 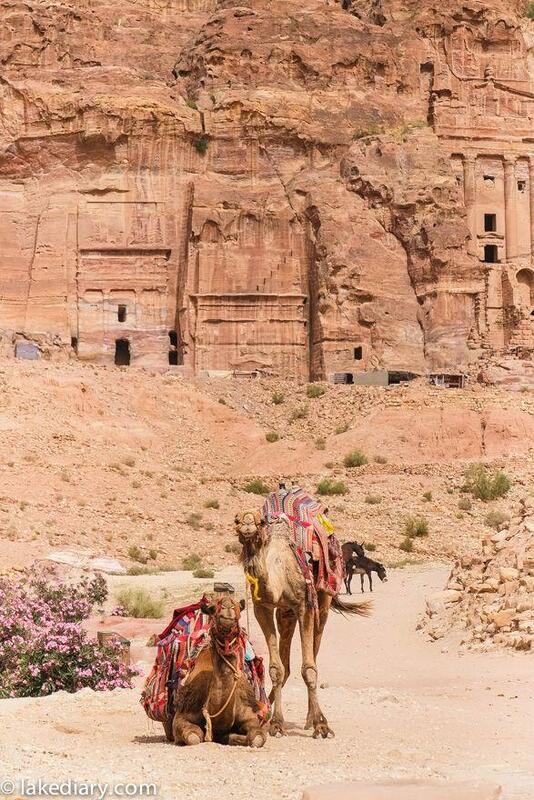 But the hike to Petra Monastery is no easy task. It takes at least 6 hours going up and down, from midway, you need to climb nearly 900 steps all the way uphill. But no matter, when it comes to travel, I’ve never been lazy! After days of hiking and touring, my body was feeling the pain, I kept pushing and made it all the way to the top, in 40C + degrees heat. 🙂 Oh mine. How grand is Monastery! The hike to the Monastery took the my trip to Petra to a whole new level. It looks similar to the Treasury but much bigger. See that lady in green top behind me? That’s how small a person looks next to the Monastery. An the view on top? Mind – blowing. I’ll leave it to another post for more photos from the hike to Petra Monastery.